Feel Cheated of Severance Pay? Know Your Rights as an Employee! When your employment ends, Texas state laws and statutes require your employer to provide you with your final paycheck and any promised severance pay, minus any approved deductions, within a reasonable amount of time. If you believe that your employer has disobeyed these laws, or if you are not certain your severance agreement is fair, please contact my office for an opinion and representation. It is important to remember that Texas law can only enforce a written severance pay obligation since verbal agreements may be held unenforceable in court. Severance pay is not the same as your normal paycheck; rather, it is usually an agreed-upon amount of money and/or benefits provided to the exiting employee by his or her employer according to a preexisting agreement. For example, Company ABC may offer one month’s severance pay for every year of service the employee provided. If this is a written agreement, then Company ABC must pay an employee who exits under the terms in the agreement this severance benefit. 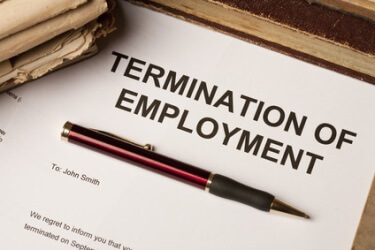 In other cases, when an employer terminates, lays off, or otherwise ends the working relationship with an employee, the company may offer the employee a severance package if that employee gives up the right to pursue legal action against the company. This often occurs when an employer believes that the employee may have a reason to take legal action and wants to avoid it. Finally, many individuals who are retiring from companies where they have worked the majority of their lives and provided outstanding service have severance packages. These are typically nothing more than a reward for a job well done and there is no other intent. This additional compensation may even come as a surprise to the employee, but it is still important to read the paperwork – including the fine print. The best advice is to contact my office any time you receive a severance offer. For instance, someone who is considering employment with a high-profile company may view the severance compensation as a bonus of sorts. Even in this case, it is necessary to have the agreement checked for loopholes or other clauses that may prove unfair. This way, the employee may be able to negotiate a contract that suits not only his or her needs, but also the needs of the employer. When being presented with a severance package upon termination, this is often a sign that the employer has reason to believe that the employee may bring legal action against the company. In this case, my office can not only review the paperwork, but also discuss your employment and try to discern if there is a case for legal action. Oftentimes, companies will provide settlements far greater than the amount of the severance offer if there is indeed a reason for legal action. In other cases, class action lawsuits have resulted in the payment of millions of dollars to unfairly terminated individuals. While severance pay can certainly be helpful when you are leaving your employer for any reason, it is important to ensure that your employer treats you fairly. If you have a severance package, be sure to contact an Austin, TX employment lawyer for review before potentially signing away your right to fair treatment.